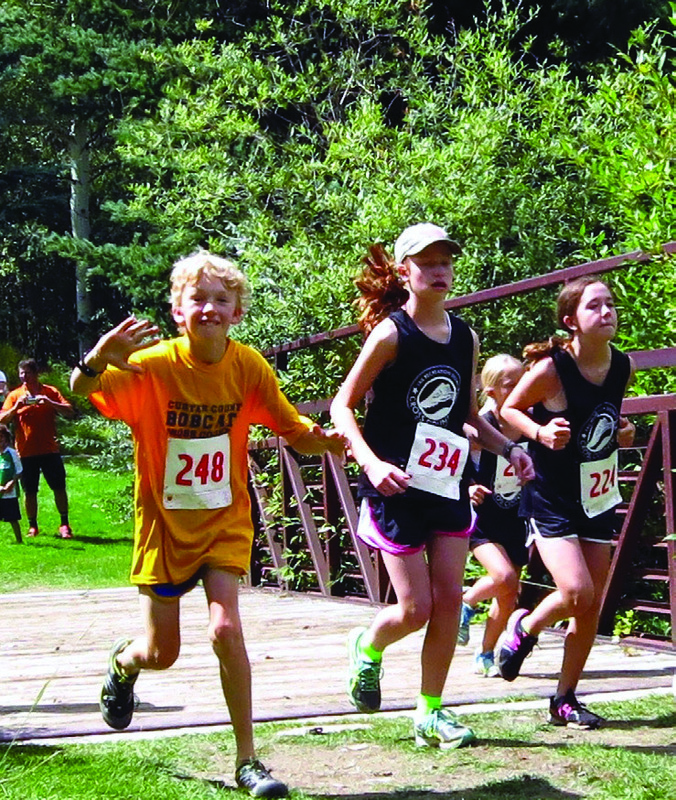 It was the first meet ever held on the new track in the tiny town of Fairplay. 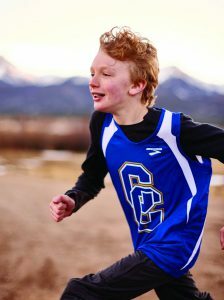 The skinny blonde-haired boy from Custer County Schools lined up with the rest of the middle school 800-meter runners from all around the central Colorado region. When the starting gun sounded he got a great start, rounding the first corner in full stride with the pack. On the track’s back stretch, he began to lose ground. After rounding the second curve he veered off the track and over to some spectators along the fence. Then he got back on the track and hit the straightaway. Before the bleachers he stopped and jogged in place, then he ran backward nearly wiping out the two lead runners who were by now finishing their second lap and charging toward the finish line. He started jogging forward again, but his efforts seemed to be absorbed in some other dimension altogether rather than propelling him forward. I strode over to the inside curb of the track and attempted to encourage the boy to get running. The boy’s name is Harrison, and he has autism. I am one of his coaches. I am also his dad. As other runners in the race were finishing, Harrison greeted my encouragement by flailing away at me with his arms, striking me right in front of the spectators. I asked him if he wanted to finish the race or to pack it in, and he started to jog forward again. He still had an entire lap to go. When he rounded the first curve the crowd started cheering, and he pulled his uniform shirt up over his head. I was reaching the bailing point when something extraordinary happened. A team from the neighboring community of Cotopaxi came running up alongside us on the turf inside the track. They encouraged Harrison along. I took a step back and just watched. What I saw was this group gain energy as kids from other teams joined in, including kids from Harrison’s own school. 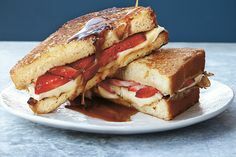 And when they hit the straightaway in front of the bleachers, his shirt was no longer over his head and he took off sprinting the last few yards, and kept on running until he reached the chain-link fence encircling the sports field. The kids continued after him, mobbing him with their congratulations. I stood back in the amazing glow of this deep sport moment, stunned by the compassion and sense of community that I just experienced. It wasn’t the first experience like this I had since Harrison began running on the Custer County Schools cross country and track teams. And it would not be the last. Harrison has always been a runner. He ran with his mom, Mary, before he was even born. He ran with us in a jogger as a small child. He ran his first 5K in grade school. 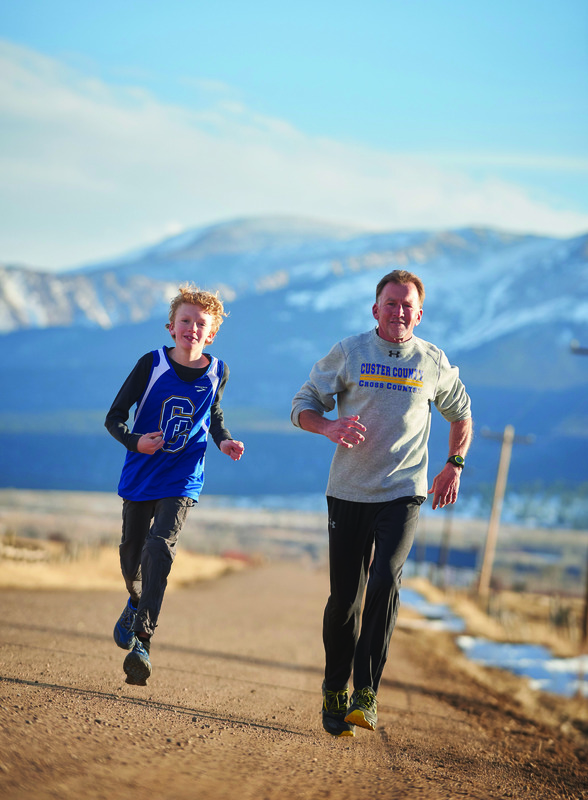 Later he ran — and swam and biked — in the school triathlon. He is also a musical marvel with perfect pitch, can take apart door locks and clocks and put them back together again and excels in the computer lab. He is a wiz at the video game Minecraft. I prefer the term “neurodiverse” to autistic when describing him, as it sets aside the stereotypes so common in our society and, in turn, opens the possibilities. 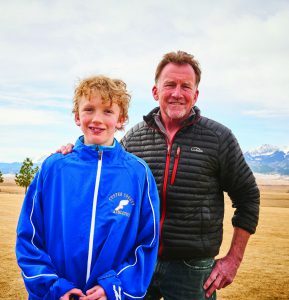 Though I competed at running and in the extreme Colorado sport of pack-burro racing for decades, it was my philosophy to provide Harrison the opportunity and exposure to sports and the outdoors, but not pressure him into any activity. Oddly, before this moment, I had not even considered that he would ever be involved in school sports. Now the coach put forth this remarkable invitation. I was “all in,” as they say. And I was about to embark on a new journey into the world of something I call “deep sport.” In my thinking, it is a place where triumph has a meaning separate from winning in the traditional sense. 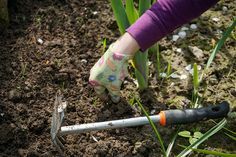 It is a place where richness and diversity com bine with a greater sense of community to celebrate the value of all human beings and their participation and success. I sometimes joke that we could not have gotten away with such an unlikely narrative anywhere else, but in all seriousness, this experience of inclusion on academic, social and athletic levels is only made possible by the tight-knit philosophy of Westcliffe’s small school, where grades K-12 are housed under one roof and where the larger regional community of rural schools welcomes us. As part of the deal with the coaches and the school administration, I accompany Harrison to practices and also to competitions. As such, I’m sort of an adjunct volunteer parent-coach available to support the rest of the team as well. 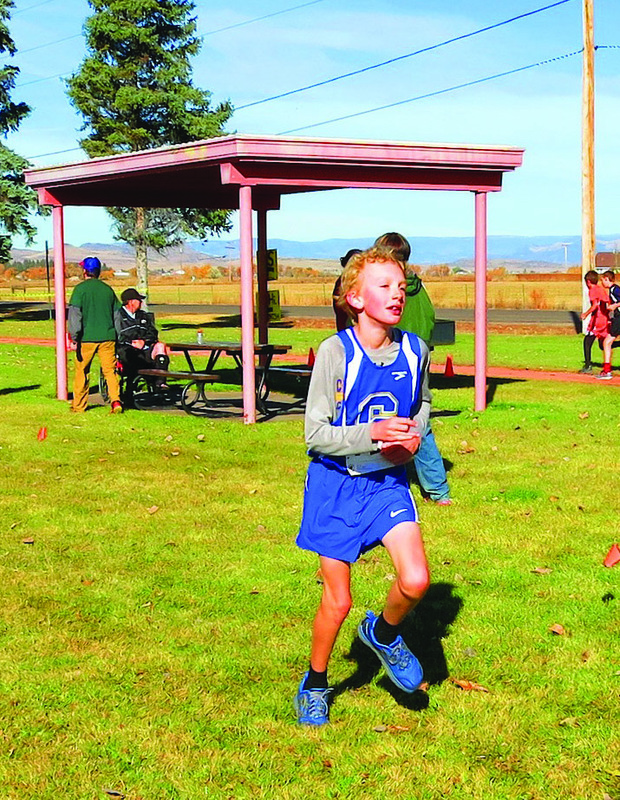 That first year in cross-country proved to be a roller coaster of performances and emotions with Harrison’s unpredictable behaviors. 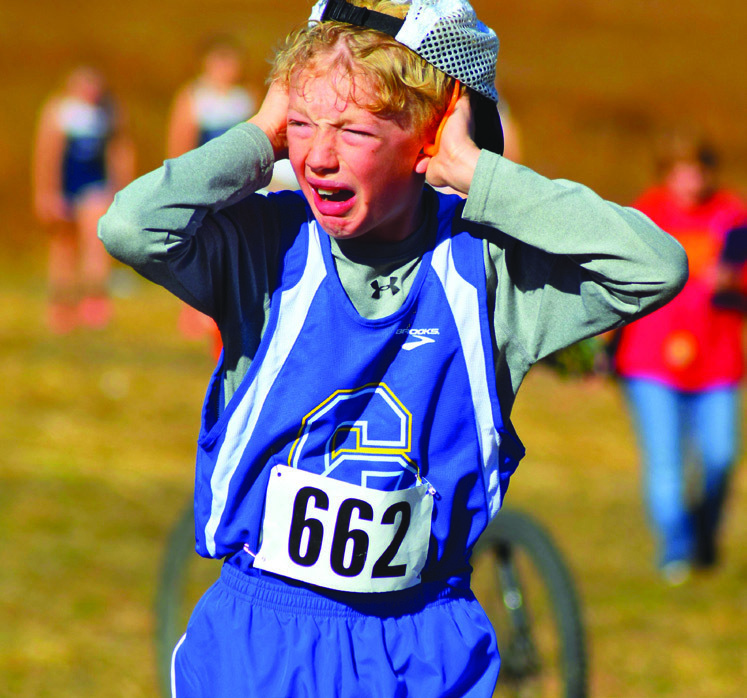 In his first meet at Avon-Beaver Creek, nobody knew what to expect. 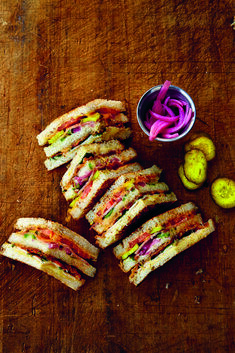 Harrison faces extreme behavioral challenges and battles with impulse control. 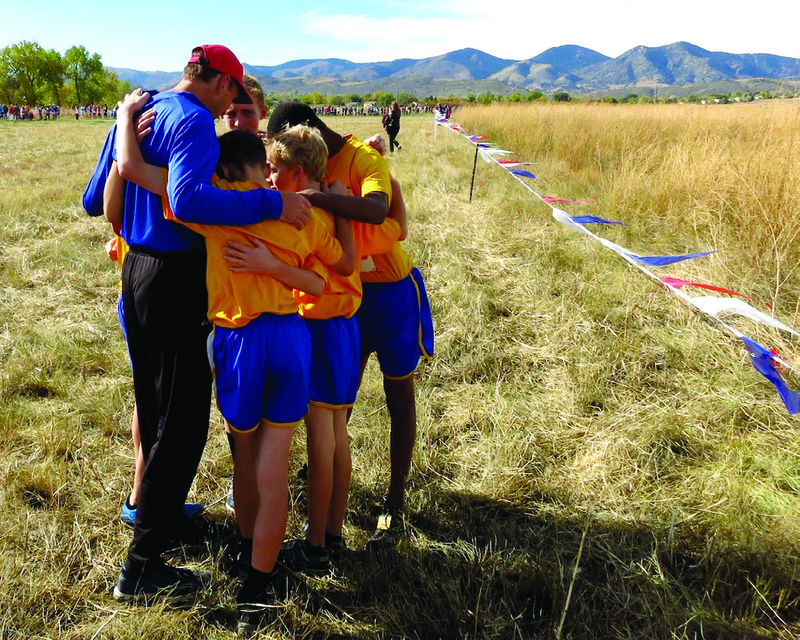 However, in his first meet he ran well enough to help his five-man team place second among several larger schools. It was a lesson in teamwork for both him and his four teammates, who really needed him to finish in order to place as a team. 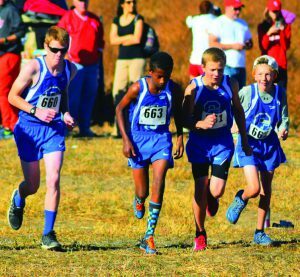 At the following meet in Pueblo, Harrison ran an even stronger race, and I felt like we really found another niche for him with cross-country. 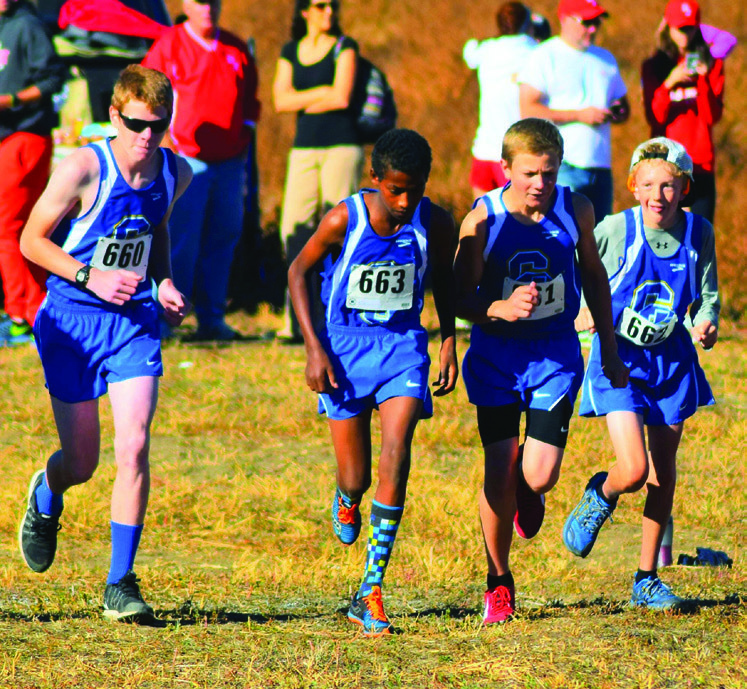 However, in his third meet in Westcliffe, he melted down terribly right in front of the hometown crowd, confused because the boys were running separately from the girls. This was something we tried to prepare him for, but which simply did not compute on race day. After an epic test of will and a lot of coaxing by coaches, race officials and myself, he finished last in front of a crowd that was cheering just as hard for him as they had for the winners. Thus began a roller coaster of unpredictability. He ran just fine at the next meet in Salida. Then in Monte Vista he ran from the start over to the sidelines to comically high-five spectators before returning to the race and, of course, a lackluster performance. 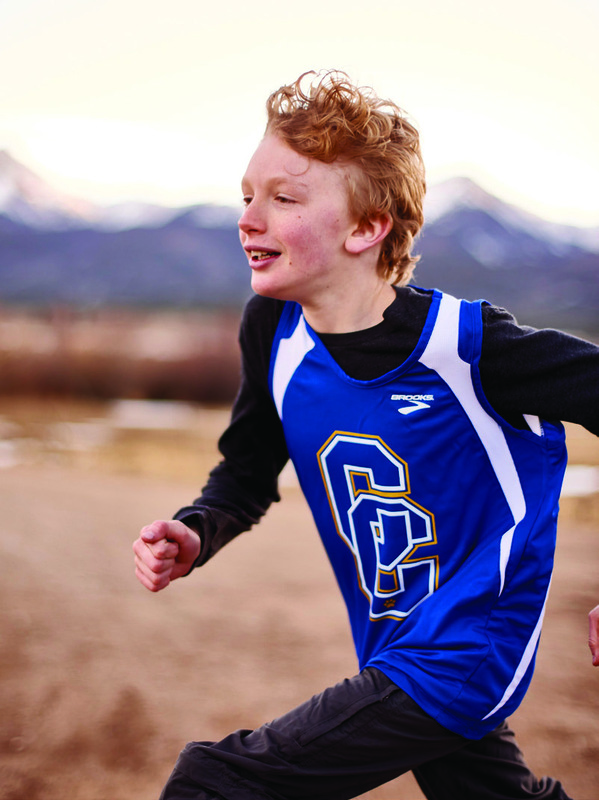 A couple weeks later he repeated the high-five antics at the state meet in Arvada, losing so much time from the start that he was unable to recover. He wound up finishing last of several hundred entrants. I had a long winter to contemplate his participation in sports. Suddenly it was spring track season and Harrison said he wanted to run. The coaches suggested the 400-meter dash and the 800-meter run. Since track and field involves a long day of events, the chaos of so many kids and so many activities tends to be a challenge for Harrison, scattering his focus. I worked out a system with the coaching staff so as to avoid having to wait a long time for his events amid the frantic activities of these meets. I told him Harrison has autism and he nodded, telling me that he was in 8th grade and has a sister at home with Down syndrome. “I love her to pieces,” he said. There are moments in this life that restore my faith in humanity, and this was one of them. 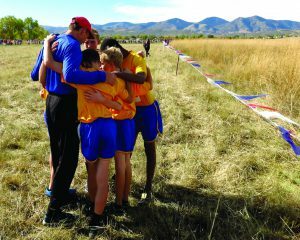 His words stuck with me the next couple of meets, including one in Salida that concluded with Harrison flipping out during the 800 and then violently batting a clipboard out of an official’s hands at the finish line. This was followed the next week by the aforementioned dramatic scene in Fairplay. 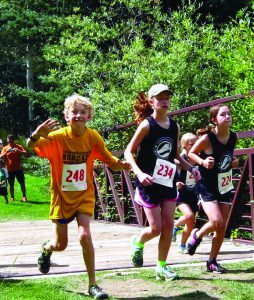 In the following weeks, Harrison bounced back from these disappointments to place third in his class in the school triathlon, and then third place in his age group at the Hardscrabble Mountain Trail Run 5K. Thinking maybe we were past a rough spot, I put together a fun summer cross-training program that included cycling and hiking along with trail runs in preparation for his second cross-country season. The first meet of the year was once again at Beaver Creek, and I watched as Harrison went from running third on his team to crashing to the ground in the blur of a tantrum just 10 yards from the finish line. After several minutes that included him running away from the chute twice, he finally finished the race rolling on his side across the line, remarkably still ahead of one teammate. His tantrum continued after the race. On the long trip home I quizzed him about what happened, finally getting out of him that it was the crowd’s cheering that sent him reeling. Over the next few weeks, and despite my significant investment in various ear plugs, he continued to violently melt down — now from the starting gun — in meets in Gunnison, Pueblo and Salida. He managed to finish each race, but his placings were poor and far below his ability. He was again pulling his uniform shirt over his head, as if to hide. I was miffed. The stereotype of autistic kids is that they have major sensory issues and dislike loud noise. But Harrison finished plenty of races in front of loud, cheering crowds. Heck, he went to two Mumford & Sons concerts with tens of thousands of screaming fans, blaring music and a laser light show. It clearly wasn’t the racket. It had to be something else. After some further discussion, it began to make sense that it was not the cheering, per se, but rather his processing of it that was causing him discomfort. It was more about his own awakening self-consciousness — for him, the cheering was drawing a tighter focus on his own growing awareness that he is different from the other kids. We talked it over and I reassured him people were cheering because they want him to do well, just like they do for all the other kids. Still, the night before the season’s final event in Monte Vista I fought off the doubts. We had to get up at 4:30 a.m. and drive through the dark for several hours just to get there. If the last four meets were any indication, it was a likely setup for more disappointment. Nevertheless, I’m not one to quit in the face of hardship. I learned in sports and in real life that true triumph springs only from facing challenges again and again. We headed out that next morning with me harboring no expectations, and as we drove away Harrison seemed unfocused. He broke from a Minecraft-trance to announce he just built “a lava pool secret entrance with a fishing rod.” I just shook my head and drove on. 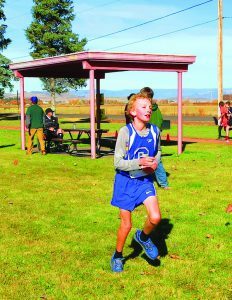 It was a beautiful, crisp fall morning in the San Luis Valley, and when the starting gun fired Harrison sprinted right past the cheering crowd. He did not offer high-fives to spectators and he did not melt down in a tantrum. 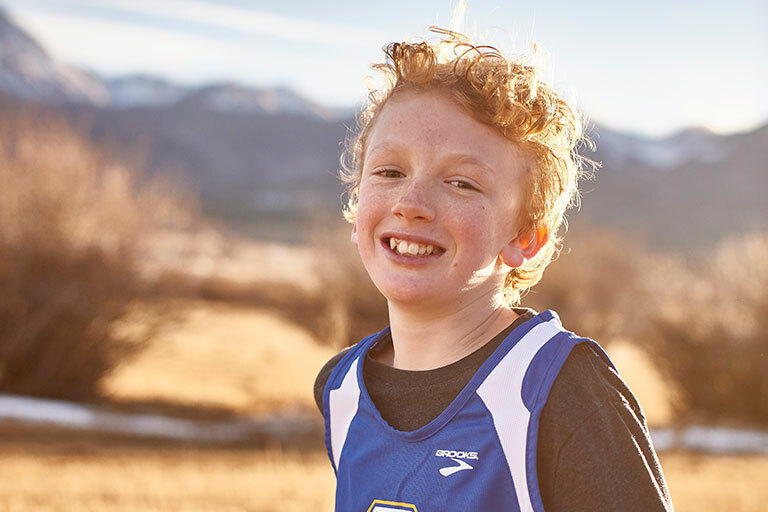 He ran and kept on running right through the finish chute with all its applause and hurrahs, and into my arms, placing third on his team and perhaps overcoming more adversity than many other kids will ever face in sports, or maybe even in life. As his coach and dad, I could not have been more thrilled or proud. 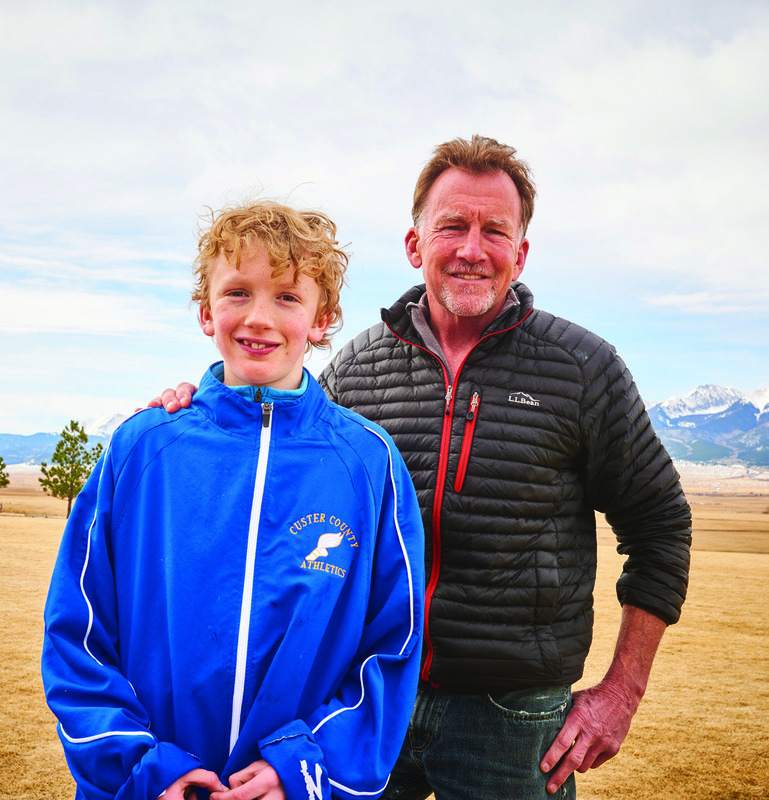 Hal Walter writes from Westcliffe, often sharing his experiences as an autism dad. 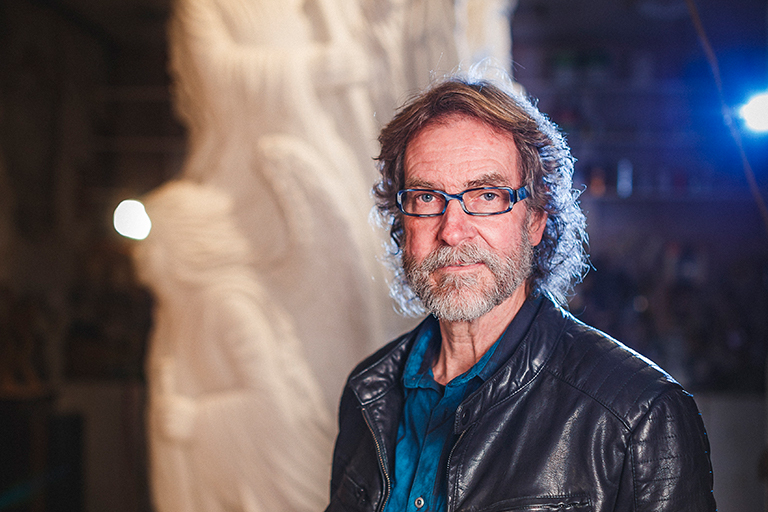 He is the author of two books on the subject, Endurance and Full Tilt Boogie.